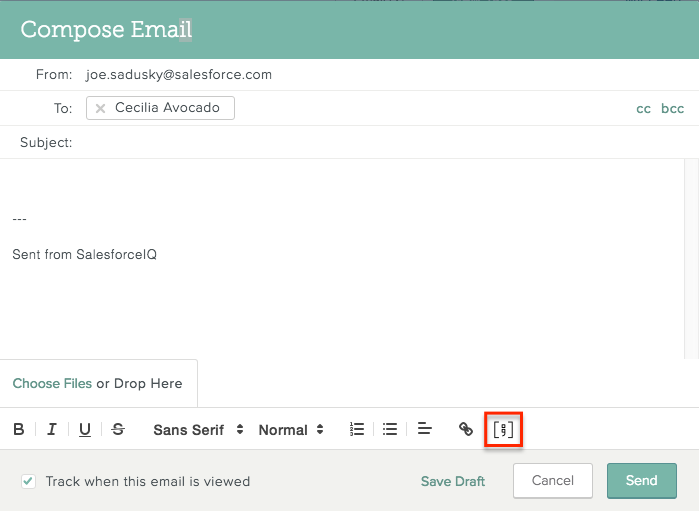 Learn about teams, comments, creating and assigning follow-ups, and emailing in SalesforceIQ. 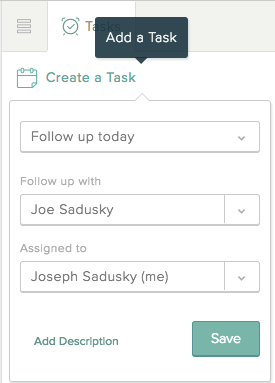 Create a team to quickly collaborate with a group of teammates all at once. 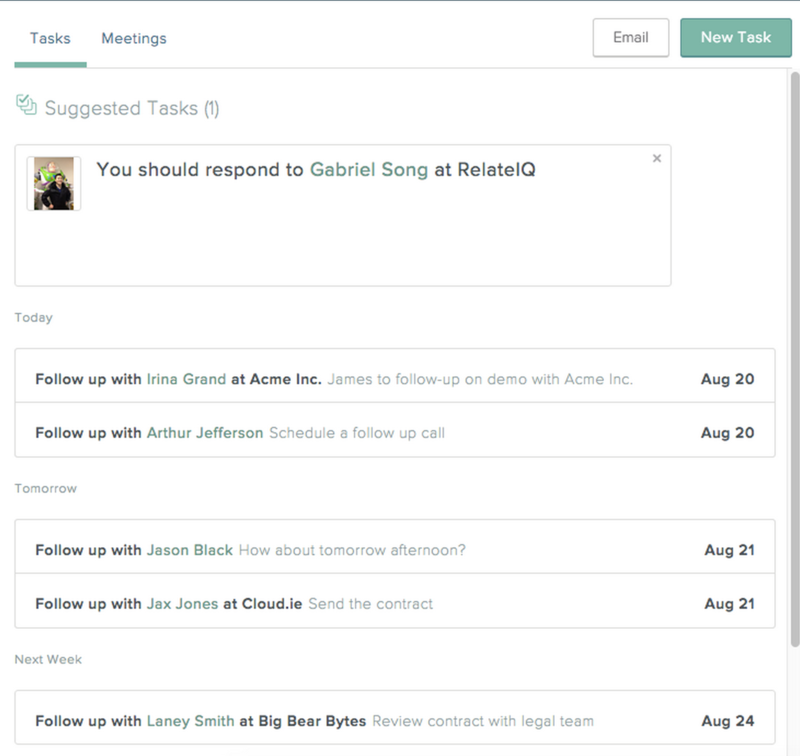 Create, assign, and work with tasks for yourself and your teammates to more efficiently manage next steps on a deal. Add your meeting notes as a comment in the Stream and generate a notification with the text of that comment for a teammate by @referencing them. 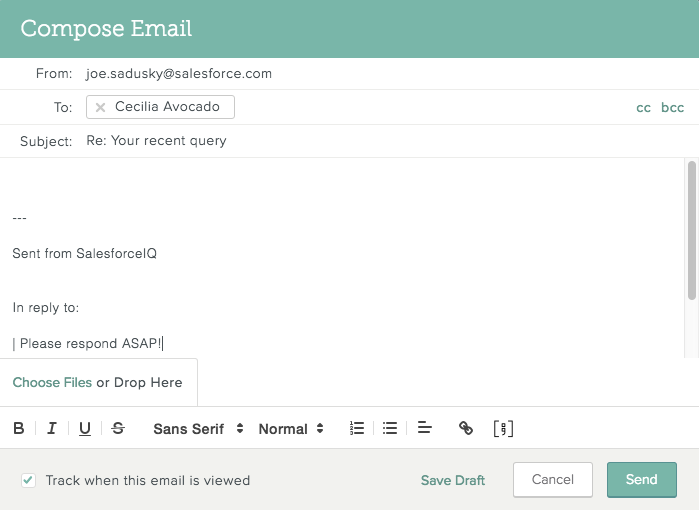 Send an email straight from SalesforceIQ to complete your tasks quickly and efficiently. 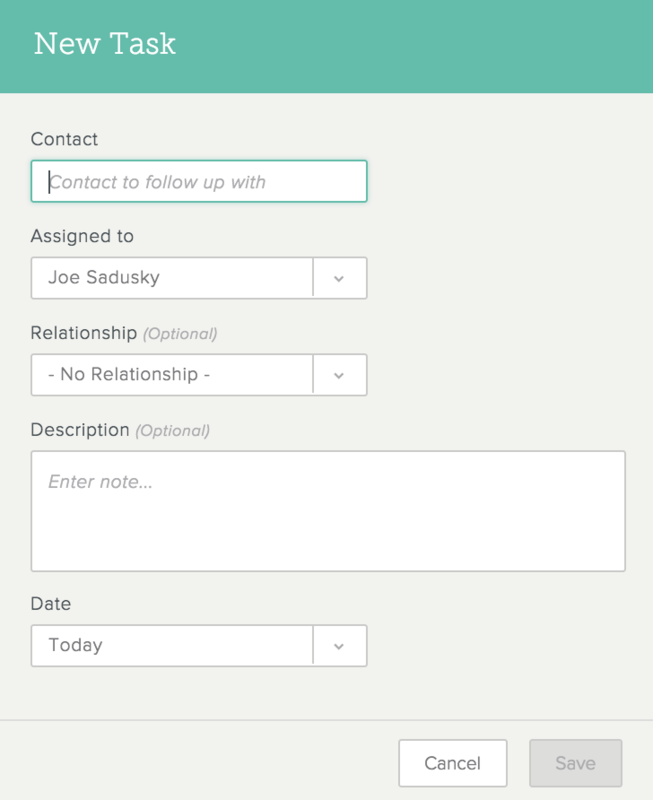 Log a meeting or phone call as well as the notes associated with the event. 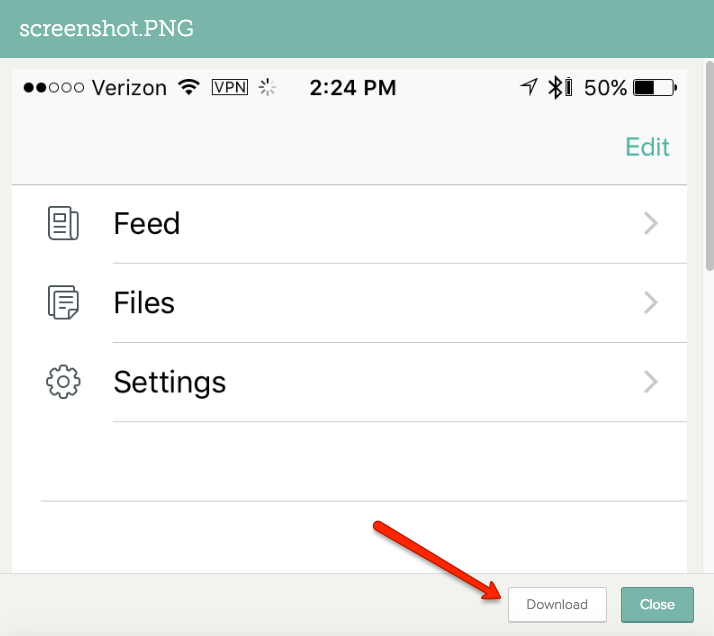 Preview and download email attachments. Follow the links above to learn more about these options. 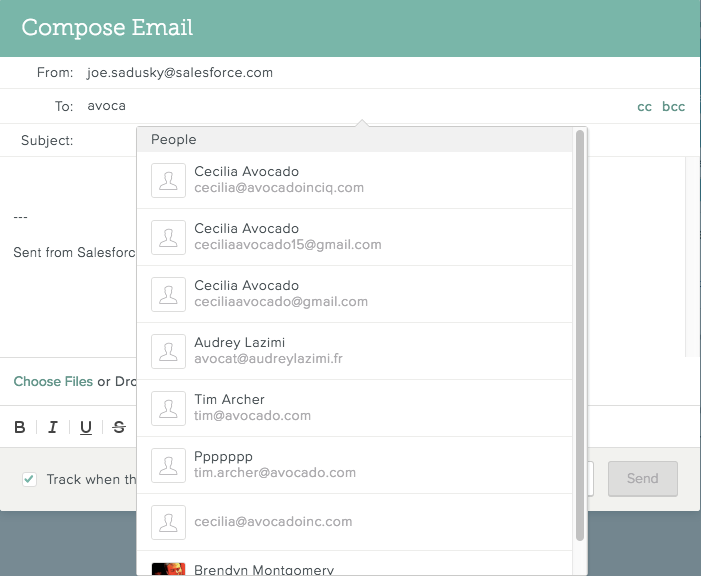 Creating teams within your Organization lets you leave a comment for all team members at once. If you add a comment and tag it @all, all members of the team automatically receive a notification. 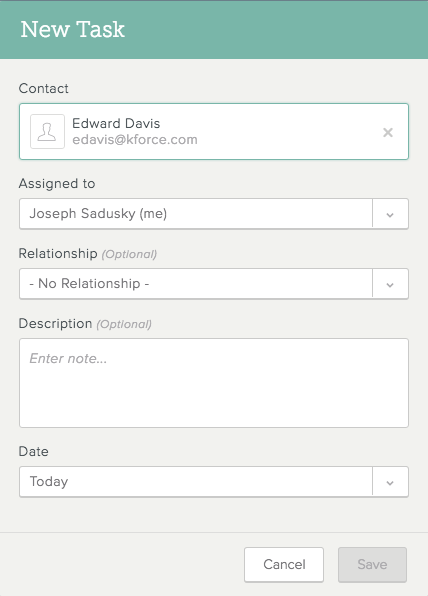 Only Organization admins can create teams. On the screen that appears, click Teams. To create a new team, click the team name shown at the top of the screen, and then click Add a new team. Note: If you haven't created any teams yet, click Create New Team instead. Enter the team name and click Create Team. Click the team name shown at the top of the screen, and then click the team you want. 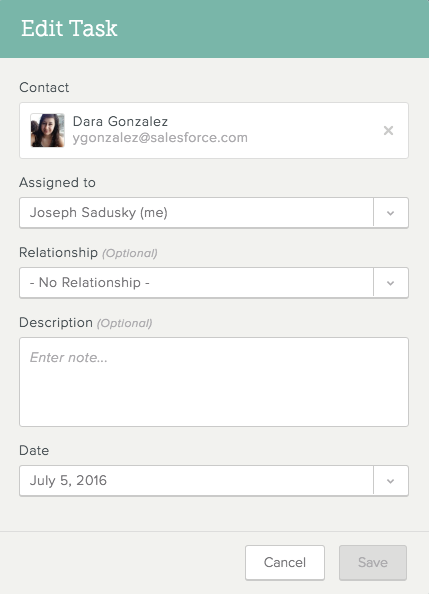 To invite one of the people suggested by SalesforceIQ, highlight that user's name, and then click + to the right of the name. 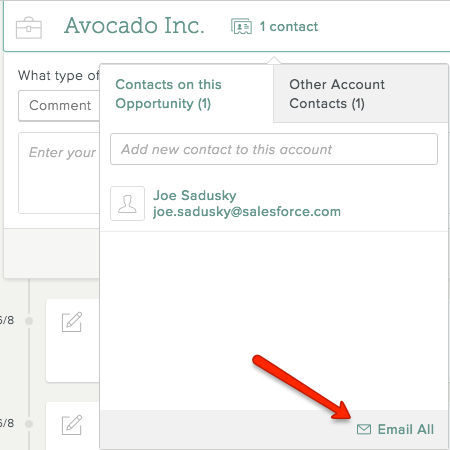 To invite other users, enter the person's name, highlight it when it appears, and click + to the right of the name. Repeat this step to invite other teammates. By default, any teammate you invite is a User on the team. 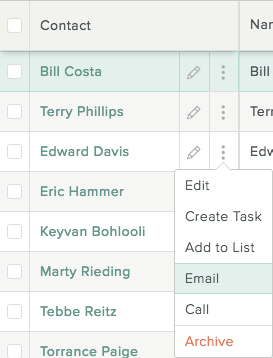 You can make a user a team Admin, which lets the user rename or delete the team as described in the sections below. 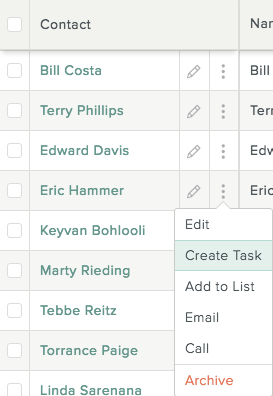 To make a teammate an admin, click the drop-down list to the right of the teammate name and select Admin. Note: This option is not available for all teammates. 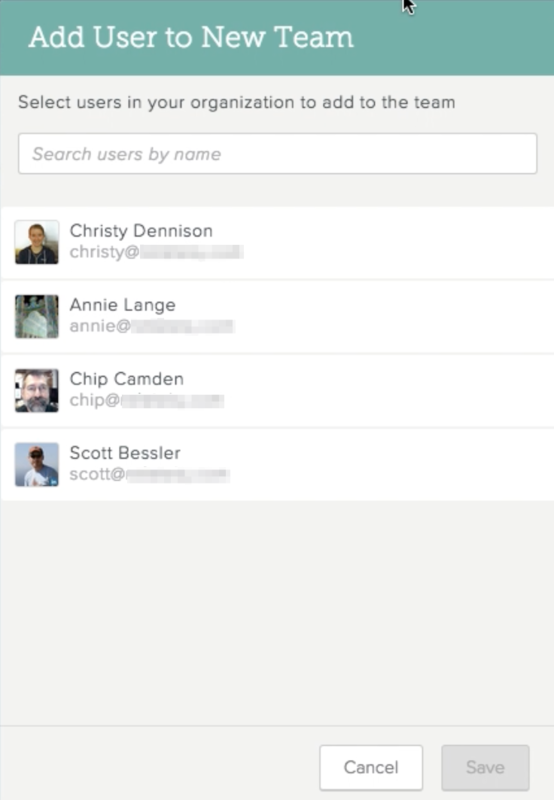 To remove a user from a team, on the Teams settings page, highlight the user name and click . Only team admins can rename a team. Click the team name shown at the top of the screen, and then click the team you want to rename. Click to the right of the team name. Enter the new name and click Rename Team. Only team admins can delete a team. Click the team name shown at the top of the screen, and then click the team you want to delete. 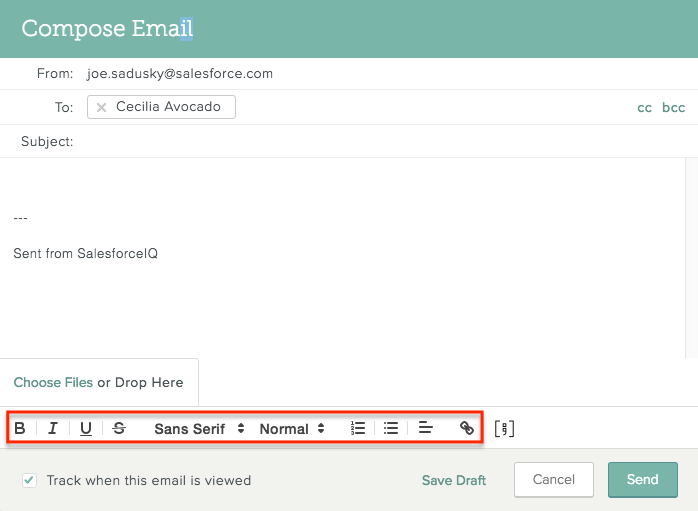 Download the ToutApp extension for Gmail or Outlook, depending on which account type you have connected in SalesforceIQ. 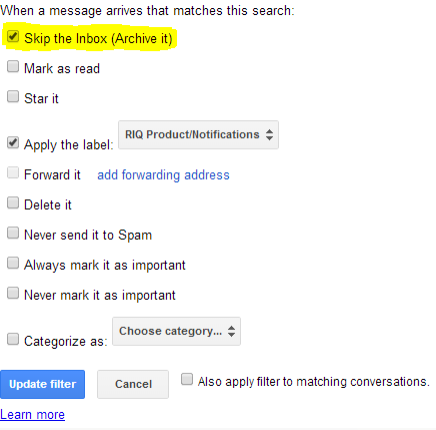 When you send a message from your regular email account, click Tout It instead of Send. 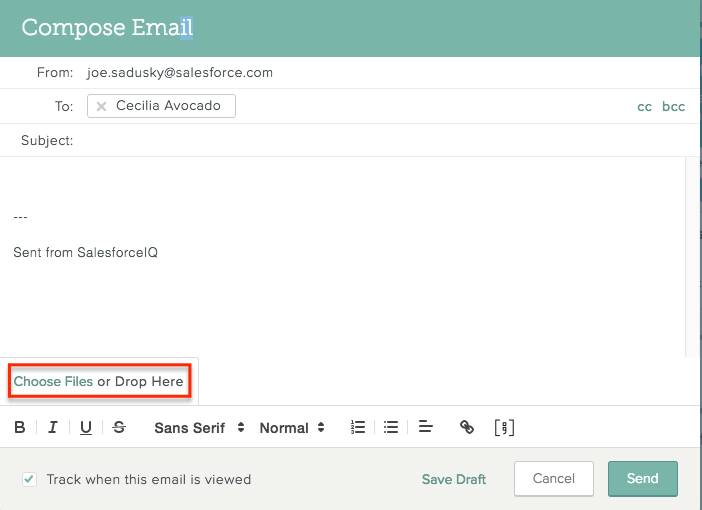 This routes the message through ToutApp, and causes the message to appear in the SalesforceIQ Stream. 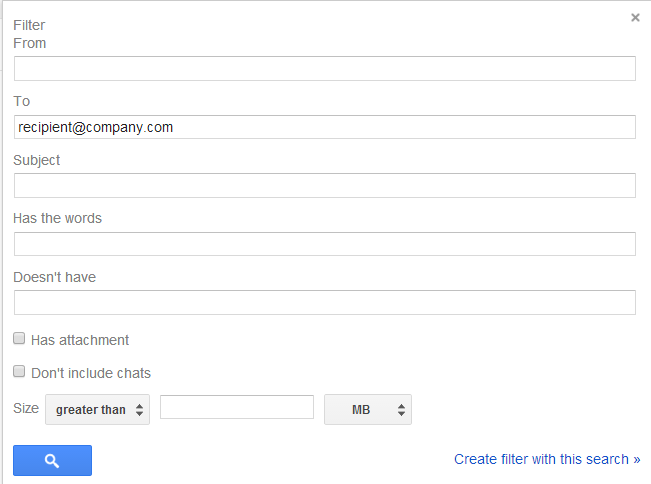 Configure ToutApp so messages you send come from your own email servers. 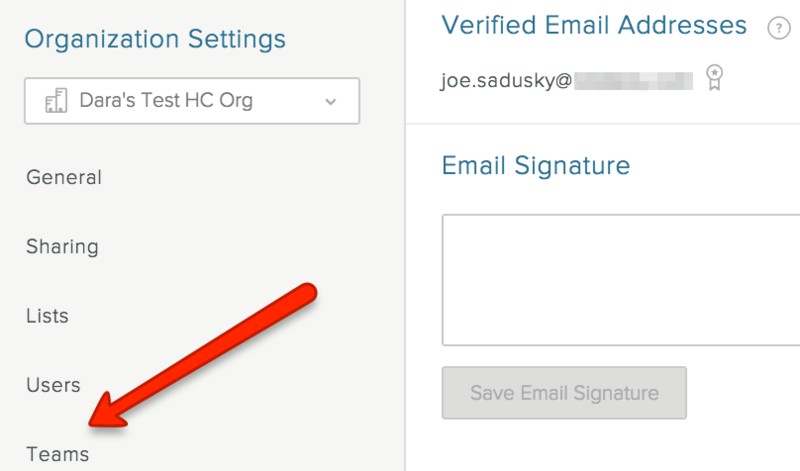 You can do this in ToutApp online under Settings & Integrations > Email Servers. 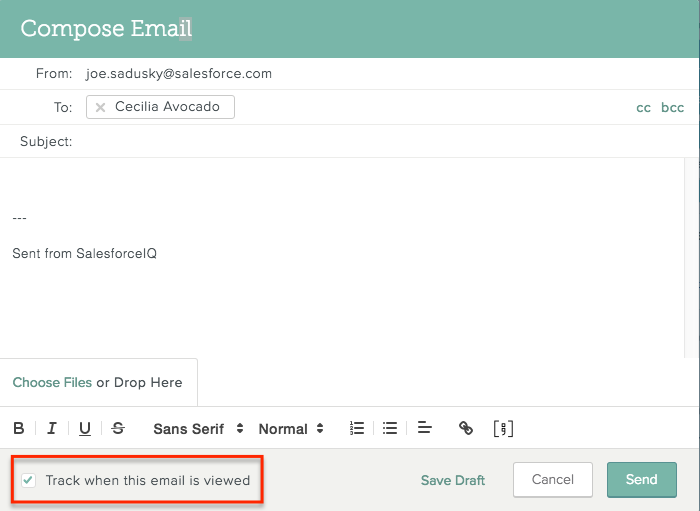 Messages sent from your own servers appear in the SalesforceIQ Stream.